James R. Parr (born February 27, 1986) is a right handed pitcher. He was drafted in the fourth round, 131st overall pick, out of La Cueva High School in Albuquerque, New Mexico by the Atlanta Braves in the 2004 MLB Draft. On September 4, 2008, Parr made his major league debut for the Braves. 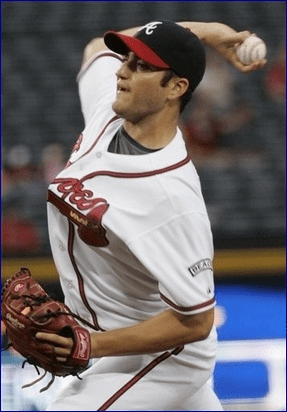 Parr pitched 6 innings, allowed no runs on 2 hits, and earned his first major league victory in the Braves 2-0 win against the Washington Nationals. What a night he had. He’s sneaky quick. He doesn’t light up the radar gun, but he’s got a little looping curve and a changeup. I was impressed. It’s a great way to break in. Parr current plays for the Sugar Land Skeeters of The Atlantic League.